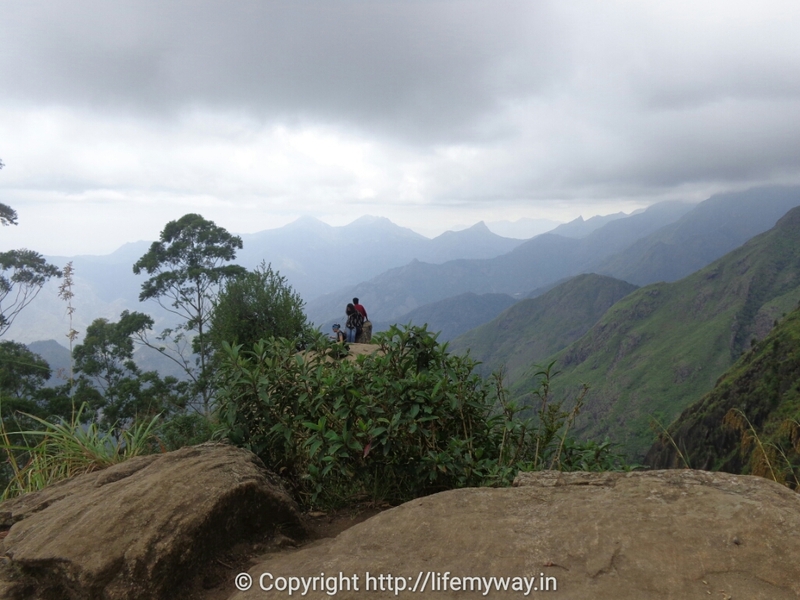 Trek to Dolphin’s Nose, Kodaikanal ! The trek leads to a protruding flat rock at approx 6600 ft resembling the shape of the nose of a Dolphin. We had undertaken the trek in the morning time & the weather was pleasant. The route in not much strenuous & is covered with trees. It passes through a small village with eateries along the way. The start of the trek may disappoint you due to garbage around it. But, as you descend the path gets clear & better. Flat rocks tend to be slippery at some locations, so we had to be careful while walking. Enroute, there is a Mountain View Point, stopped here for catching your breath. We were unable to spot any mountains due to the weather. Even if at some point you feel tired, the people around keep you motivated enough to walk further. I had gone for the trek over on a long weekend, there were different group of students & professionals chit chatting. It’s always fun to watch people enjoy life ! The view from the Dolphin’s Nose was breathtaking. Standing atop the cliff look around to capture the mountains & town below. Further ahead is Echo Point. This also gives you astonishing view. You need to climb a small path of rock to go till the end. I did not go till the last point here. I was more of ‘I-will-stay-back-see-you-enjoy types people here’. To be honest, it looked scary to me. By the time my friend returned from Echo point after her solo adventure, I had spotted just the perfect place to relax with noodles & coffee. We sat there for around an hour before heading back. Back in the city, we had enjoyed our sumptuous meals for the day at Cloud Street Cafe & Ten Degrees. Both the cafes are nearby & provide great service. Thoppi thooki parai, is the same as Dolphin Nose I think.. 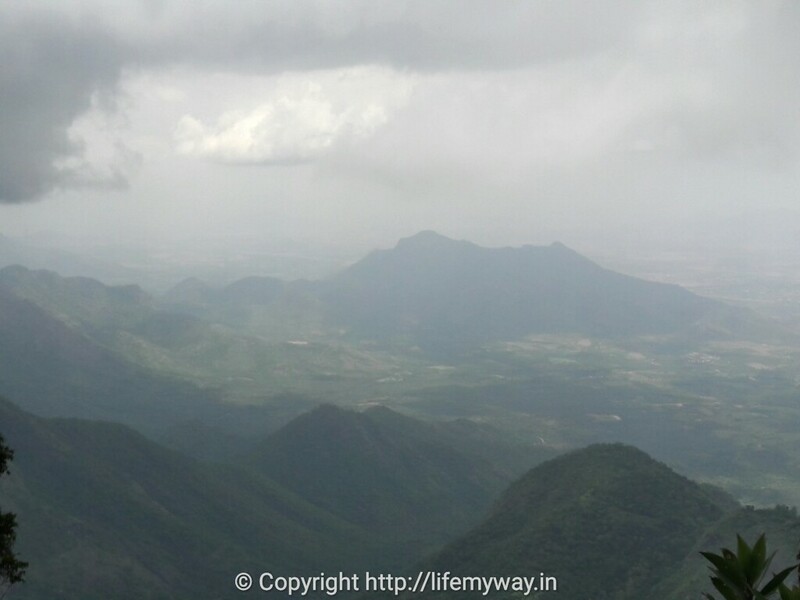 There is a Dolphin nose at Coonoor too, the breeze is the best when you stand at these view points. 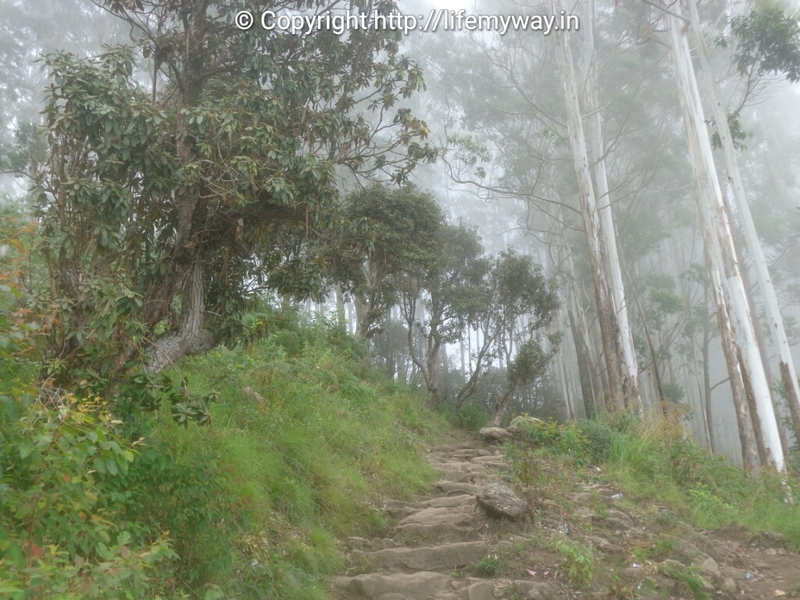 Heard a lot about kodaikanal..this place also look beautiful..south has many such places where one can trek. Awesome views from up there. I have heard of this place but never been there myself. It’s always fun to come across people who are into adventures and such a detailed account of dos’ and don’t. Love reading it. 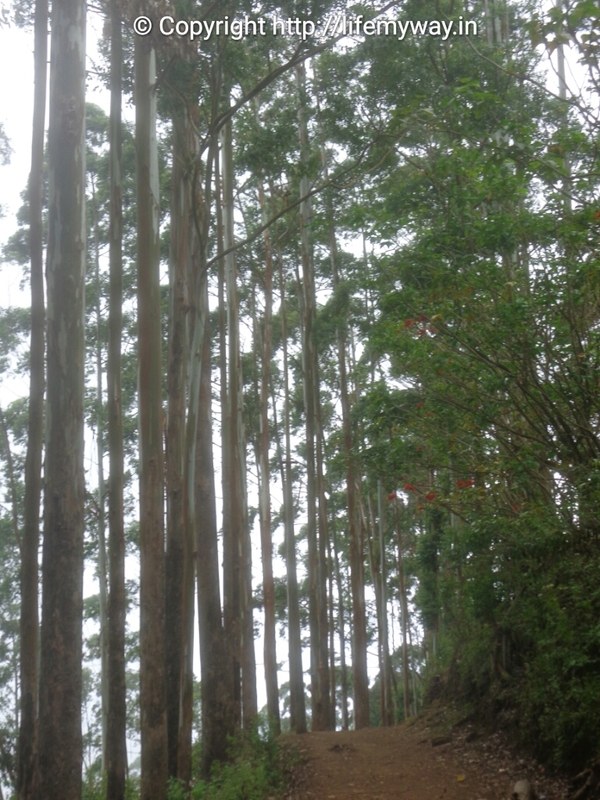 Kodaikanal is so beautiful, it’s indeed a nature’s heaven. We have been planning to visit it next year early winters and this post has certainly helped me . View is so beautiful. I never done trekking but love to do it. It is fun and health check too, how capable we are? I agree with you, every travel teaches us a thing or two. Thanks for dropping by. I have been to kodaikanal but just for a day, I am eager to visit again and your article had made me plan it soon. You should plan to visit again and for more days, you would love it. Is it the dolphins nose at conoor? I remember going there as a teenager and had super fun visiting conoor and Ooty. The Conoor one is a different point by the same name. Ooty is a beautiful place to enjoy in lap of Nature. 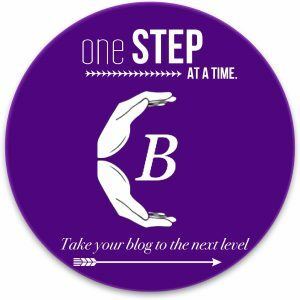 Wow…It was an amazing experience for you right? Thanks for sharing the tips for trekking too. What an astonishing view! Completely breathtaking! And a great guide for trekking. Thumbs up!